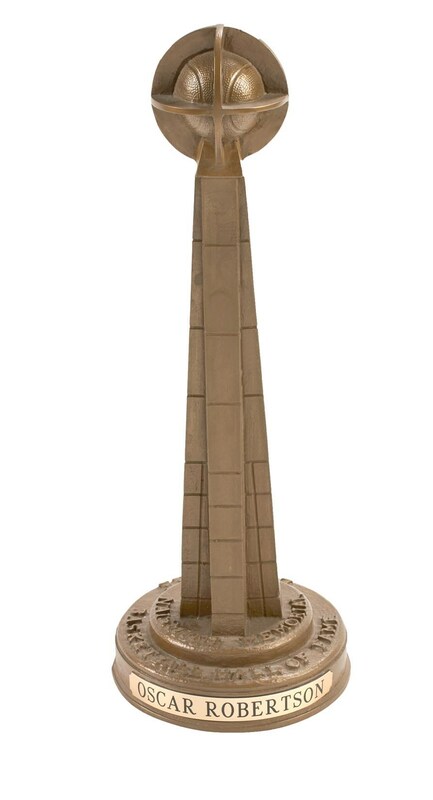 Offered here is the actual Naismith Memorial Basketball Hall of Fame trophy presented to the immortal Oscar Robertson at the 1980 Induction Ceremony. Robertson was a 12-time All Star, 11-time member of the All-NBA Team, and was named the league's MVP in 1964. Two years earlier, he became the first player in NBA history to average a triple-double over an entire season. Additionally, he captured his and the team's lone title in 1971 as a member of the Milwaukee Bucks. 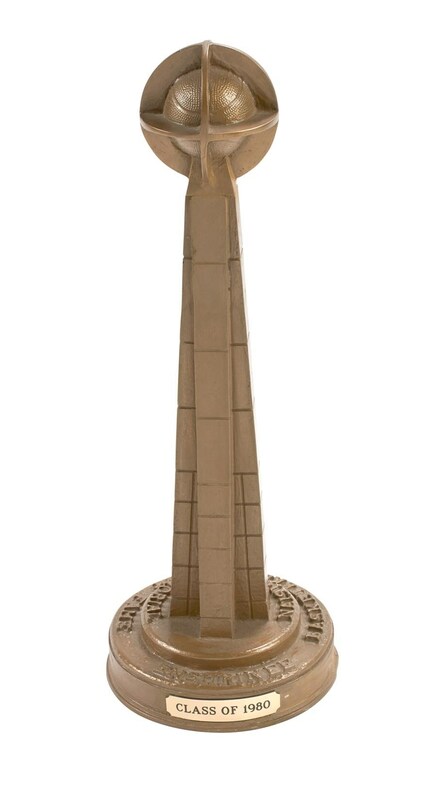 The composite trophy stands 20" tall, and a figural piece depicts the spire located outside of the Basketball Hall of Fame in Springfield, Massachusetts. 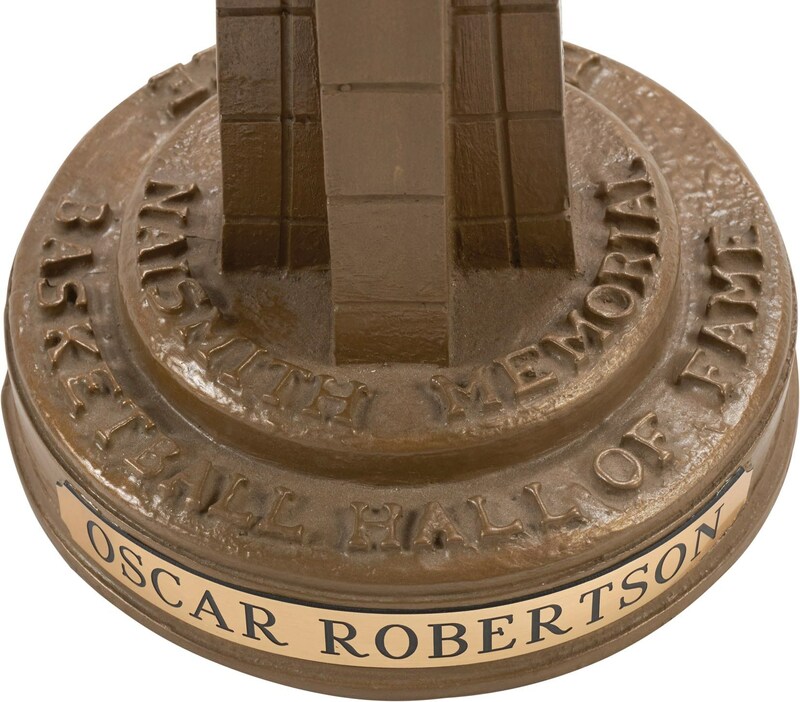 The base features two plaques reading “Oscar Robertson" and "Class of 1980." 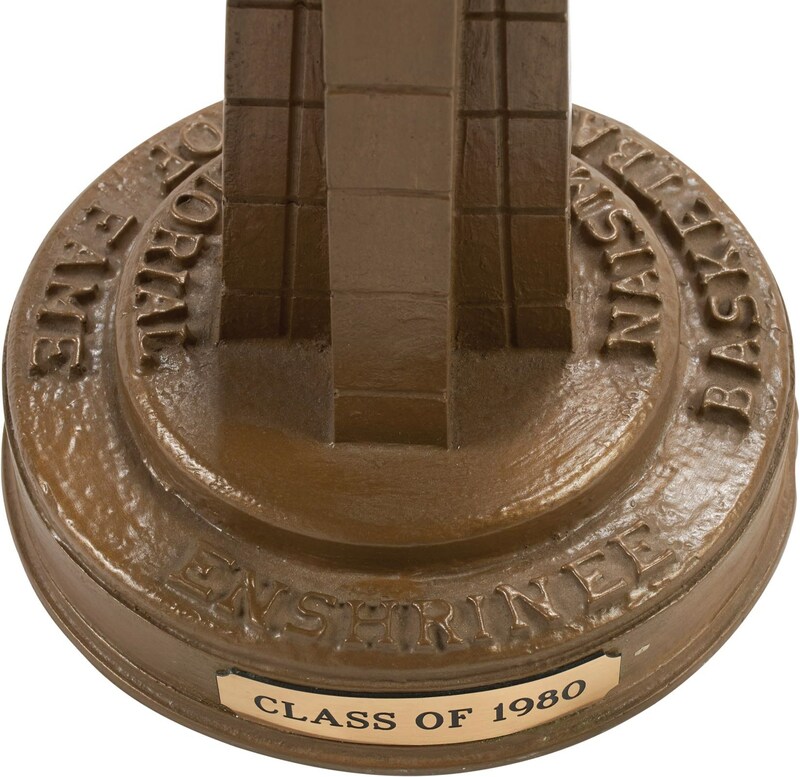 The top of the base reads "NAISMITH MEMORIAL BASKETBALL HALL OF FAME ENSHRINEE" in relief, signed by artist "B. Hanlon." The trophy weighs 8 lbs. and is in NM condition. This is one of the most stellar basketball pieces to own and very few have reached the open market.